Procedure: Change the basic shape and balance of the face using carefully shaped implants to build up a receding chin, add prominence to cheekbones, or reshape the jawline..
Dr. Mabourakh use facial implants to improve and enhance facial contours. Frequently, these implants will help provide a more harmonious balance to your face and features so that you feel better about the way you look. This page describes some of the facial implants currently available as well as the techniques for their use. It will familiarize you with these procedures but cannot provide all the details which may be relevant to your particular needs. Implants are used to bring better balance to the features of a younger patient. For instance, a teenage girl may want her nose reshaped or her chin brought forward so that these traits are better proportioned. 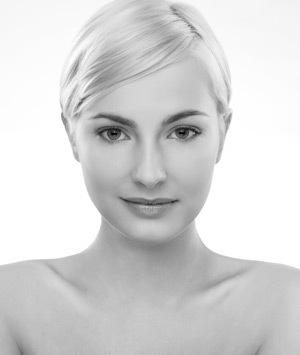 The more mature patient may choose to have an implant placed in conjunction with another cosmetic procedure. For example, during a facelift, a patient may wish to have implants placed over the cheekbones to help restore a more youthful appearance. Implants may also be selected to fill out a face that appears “sunken” or tired. Dr. Mabourakh will provide information about these important matters during your pre-operative consultation in Sacramento. You may be surprised to find that most people won’t recognize that you’ve had facial implant surgery – only that you look better.